Most of them are in their 20s or 30s and form a new generation seeking to make a buck by predicting the wild swings in electricity prices caused by a few more hours of sunshine or a fresh blast of wind. 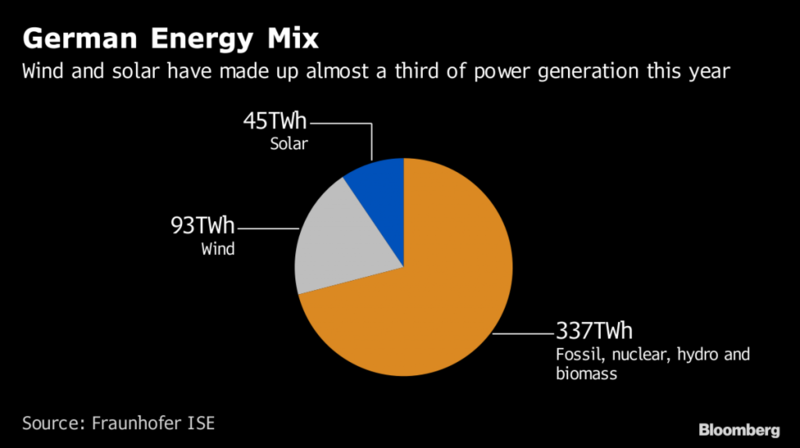 Europe’s unprecedented shift toward renewable energy helped quadruple activity last year in the region’s biggest market for power delivered on the same day.It’s no coincidence these men and women have congregated in or around Denmark’s second biggest city, founded by the Vikings and known for its centuries-old timber houses and large university. This is where Henrik Lind, a legend in their world, founded his specialist short-term trading company in 2004 where many of them got their start. He still owned most of Danske Commodities A/S before the $470 million sale to Norwegian oil and gas major Equinor ASA this year. 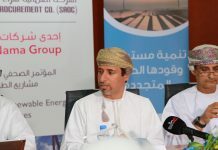 Lind’s encouragement of his employees to see themselves as entrepreneurs and giving a lot of responsibility to new starters is a big reason why people open their own companies, said Simon Rathjen, who launched MFT Energy A/S two years ago. After making 9 million kroner ($1.2 million) in profit last year, Rathjen hired former Danske executives Torben Nordal Clausen as chairman and Cagdas Ozan Ates as chief executive officer. He’s also got another 13 employees working in a partnership model and the company is outgrowing its top-floor office above the city’s train station with views toward the city hall. The companies employ more than 300 people in Aarhus for this niche market, split across at least six firms including Danske. Many of them specialize in helping power producers to keep the grid in balance. 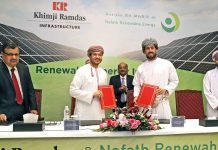 They match surpluses and shortages by dealing across national borders and pocket a share of the arbitrage.The market has expanded as more nations adopt renewable energy to meet stricter climate targets. 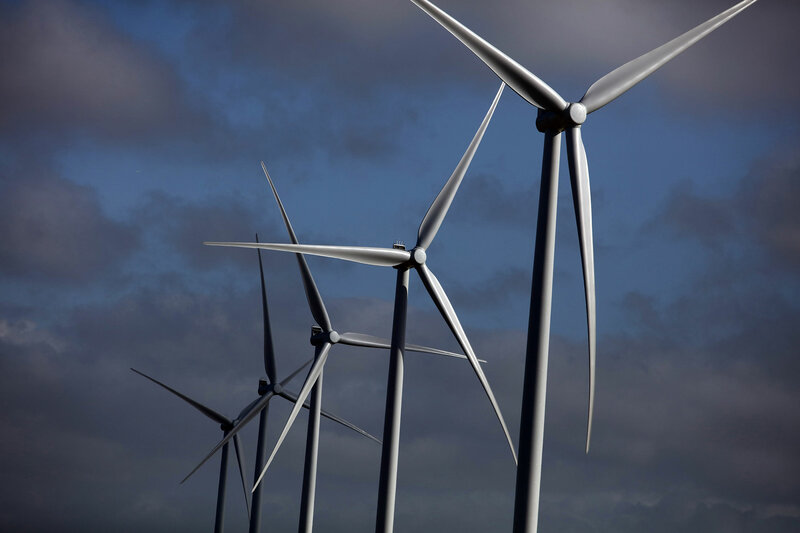 And with nations from Germany to Britain at times generating the majority of the power from intermittent solar and wind, the challenges for utilities and grids are significant — both in managing supply and demand and how to handle price risks. On a night in late October, German intraday prices were particularly volatile. 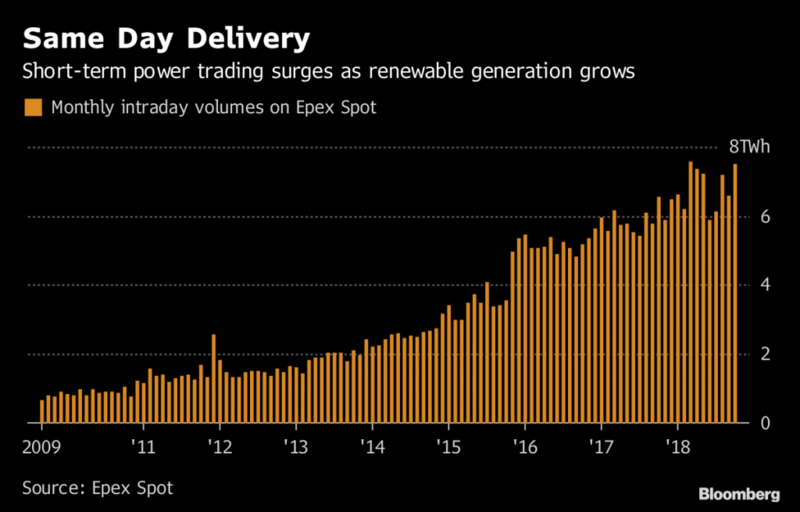 One evening hour traded between as low as 52 euros to as high as 1,299 euros per megawatt-hour as traders waited for a fresh wind peak to arrive and producers were in the market to cover their exposure. That means understanding the weather has never been more important. Forecasts now include millions of data points for everything from rainfall in the Nordics to temperatures at Spanish beaches. The traders have developed sophisticated software to give them an edge. Some use robots to buy and sell too, and more than 40 percent of the deals in the German intraday market where automated last month. As a result, the market has become much more liquid and effective, with computers able to post hundreds of bids within seconds, compared with the manual clicks by a few active traders not long ago. Activity on Epex Spot SE’s intraday market now covers 10 percent of Germany’s annual power demand. Mujo Islamovic, managing partner at Nordic Energy House Aps and who learned his craft at Danske, agrees. After setting up on his own this summer, he says knowledge still beats robots every time an unexpected event causes more extreme price movements. And it’s very difficult to get that expertise from outside a short-term trading house.The city is also home to Vestas Wind Systems A/S. Along with the world’s biggest turbine maker, the trading companies have put Aarhus firmly on the map, according to local Mayor Jacob Bundsgaard. More of the thousands of graduates from Aarhus University every year are staying put instead of trying their luck in Copenhagen or abroad, he said. Danske emerged as a real force in the short-term power market in the past decade. 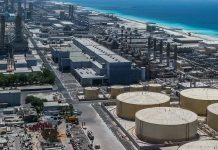 Without any actual plants it has held its own against some of Europe’s biggest utilities. The financial crisis helped recruiting as opportunities in banking for the brightest students at the local university were limited. Nabbing local talent is still very important and Danske has has almost 50 students working right now, said Lind. But setting up Powermart A/S in 2014 wasn’t just about copying a proven strategy. The emergence of automated trading means that robots are boosting the liquidity and squeezing profit on a lot of arbitrages previously identified manually. Traders have to use their knowledge about weather and react quicker to unexpected events to find deals that are not possible to program into a robot today, he said. Rasmussen’s team still needs to do hundreds of deals a day to get in the black. His company reported a profit of 2.4 million euros in the year through June. So what does the future hold for the Aarhus set?It will to some extent depend on whether Europe’s success with intraday markets to integrate solar and wind can be expanded to other parts of the world, said Jesper Severin Johanson, chief executive officer at InCommodities A/S — one of the fastest growing newcomers also expanding into gas trading.